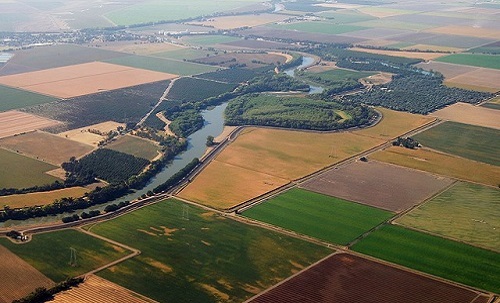 Risk Analysis of Proposed Modifications to Sacramento River Levees (CA) | WEST Consultants, Inc.
A significant portion of a $5 billion bond measure for State-Federal levee system improvements was dedicated to the Sacramento River Flood Control Project (SRFCP) – a large system of regulated and unregulated inflows, watercourses, bypasses, hydraulic structures, and tidal influences. WEST Consultants evaluated potential system-wide hydraulic impacts for the Section 408 permit review and approval process for the U.S. Army Corps of Engineers’ Hydrologic Engineering Center (HEC) through the development of risk based analysis methodologies. The risk analysis process was defined using the guidance provided in EM 1110-2-1619, Risk-Based Analysis for Flood Damage Reduction Studies, (USACE, 1996) and the policies established in ER 1105-2-101, Risk Analysis for Flood Damage Reduction Studies, (USACE, 2006). WEST applied the process to demonstrate the evaluation of potential system-wide impacts associated with several Early Implementation Projects (EIP) proposed for the SRFCP. WEST compared results from the risk analysis methods against results derived from deterministic analysis methods. The analysis process and results of the demonstration impact evaluation were documented in a technical report.